Biel, January 22, 2019 – According to provisional closing figures, the Mikron Group achieved a significant year-on-year increase in order intake and net sales in 2018, ending the year with sales growth of 26.8%. Order intake also continued to develop positively and reached a record level of CHF 362.3 million. The Mikron Group began the new year with a record order backlog of CHF 195.7 million (end of 2017: CHF 157.2 million). Both business segments (Machining Solutions and Automation) contributed to driving the sales growth. All Mikron Group operations profited from the fact that the market environment relevant to Mikron was generally stable in 2018. With Mikron customers’ production systems still running at high capacity utilization levels, demand for tools and services increased. In the 2018 financial year, the Mikron Group saw 29.9% year-on-year growth in incoming orders to CHF 362.3 million. Mikron Automation reported incoming orders of CHF 200.9 million in 2018, an increase of 59.4% compared with 2017. Following solid order intake in the first half, the Automation segment won a number of large orders in the second half, some of which will generate sales into 2020. The Mikron Group is not expecting to attract the same volume of new large orders in 2019. The Machining Solutions segment recorded an increase in order intake from CHF 152.9 million in 2017 to CHF 162.2 million in 2018. With annual sales of CHF 315.2 million, the Mikron Group exceeded the previous year’s result (CHF 248.5 million) by 26.8%. Mikron Machining Solutions lifted sales by 29.6% from CHF 124.1 million in 2017 to CHF 160.8 million in 2018, while the Automation business segment posted 24.5% growth from CHF 124.6 million to 155.2 million. The year-end order backlog is at a record CHF 195.7 million (end of 2017: CHF 157.2 million, + 24.5%). Based on the provisional figures, Mikron is confirming its previous profitability expectations for the 2018 financial year. The Group is anticipating an EBIT margin of over 4% (2017: 1.1%). Both business segments contributed to driving the improvement in profitability. Given the improved operating results reported by subsidiaries, the Mikron Group expects to utilize and capitalize tax loss carryforwards and so reduce the tax rate in the 2018 financial year. On the basis of the provisional closing figures, the Mikron Group is looking to achieve a net result in the vicinity of CHF 12 million for 2018 (2017: CHF 1.2 million). Mikron will announce the Group’s detailed closing figures for 2018 at the Media and Analyst Conference in Zurich on March 20, 2019. Bienne, September 27, 2018, 6.15 p.m. – The Mikron Group presented its new Mikron 6x6 generation of machines (formerly the Phoenix project) for the first time to a wide audience of specialists at the International Exhibition for Metal Working (AMB) in Stuttgart. Mikron is convinced that this new, modular range will strengthen its market position and is pleased at the large amount of positive feedback. Mikron Holding AG will also take advantage of the opportunity to acquire 400'000 (representing 2,39% of the registered share capital) of its own shares from VERAISON SICAV. As a consequence, VERAISON SICAV will fall below the threshold of 10% of the voting rights. Biel, July 24, 2018, 7 a.m. – The Mikron Group was able to capitalize on the positive performance in its key markets in the first half of 2018. Both business segments improved their sales and earnings compared to the same period of the previous year. The marked sales growth in both business segments resulted in EBIT of CHF 6.0 million for the first half of 2018 (first half of 2017: CHF -0.8 million). The high order backlog at mid-year and the generally good performance of both business segments will have a positive impact on the Group's sales and earnings in the second half of 2018. At CHF 187.8 million, the Mikron Group reported a high order intake in the first half of 2018 (first half of 2017: CHF 114.2 million) which, compared to 2017, leads the group to expect a marked improvement in the year-end results. The order backlog is at CHF 186.6 million (June 30, 2017: CHF 119.2 million). In the Machining business segment, the tool business enjoyed a particularly strong performance. Mikron was also able to tap into new market segments in this area – such as the Chinese market, which is still very young. In the machines business, Mikron Machining also succeeded in acquiring some interesting new contracts. Business with machines for the writing instruments industry, which operates primarily in Asia run well, owing to the amount of new orders won in the second half of 2017. Both production sites in Agno (Switzerland) and Rottweil (Germany) were operating at high capacity. Owing to the increase in demand, Mikron Machining further expanded capacity in the tools business at both sites. In the Automation business segment, the sites in Europe saw good capacity utilization with numerous new orders from the pharmaceutical and medtech industries, the automotive industry, and the consumer goods sector. In the USA, capacity utilization will further improve in the second half of the year owing to the amount of new orders won. In comparison with the same period of the previous year, the Automation business segment was also able to increase sales and profitability. However, a number of the new orders will only have a positive impact on sales and earnings as of the second half of 2018. The Mikron Group achieved total net sales of CHF 155.3 million in the first half of 2018 (first half of 2017: CHF 118.4 million, +31%). Both business segments were able to improve their sales. Europe (including Switzerland) remained the dominant market for the Mikron Group in the first six months of 2018, accounting for 66% of all sales. Here, the Group improved sales by 29% compared to the first half of 2017. US sales increased by 54% compared to the first half of 2017, while those in Asia rose by 48%. The marked sales growth in both business segments resulted in EBIT of CHF 6.0 million for the first half of 2018 (first half of 2017: CHF -0.8 million). The Automation business segment improved its EBIT from CHF 0.2 million in the first six months of 2017 to CHF 2.5 million in the first six months of 2018, while the Machining business segment improved by CHF 4.5 million to CHF 2.7 million (first half of 2017: CHF -1.8 million). Net earnings for the first half of 2018 came to CHF 3.8 million (first six months of 2017: CHF -1.7 million). The high order backlog at mid-year and the generally good performance of both business segments will have a positive impact on the Group's sales and earnings in the second half of 2018. The Mikron Group’s medium-term planning for 2018-2022 is based on average annual sales growth of around 6% and a target EBIT margin of 5-7%. Overall, the Group expects a rise in annual sales of between 20% and 30%, in comparison with last year, and an EBIT margin of 3-5% (2017: 1.1%) in the 2018 annual results. Both business segments are currently contributing similarly and are thus moving towards the medium-term goals. Biel, June 20, 2018, 7 a.m. – The significant improvements in the Mikron Group’s business development in the second half of 2017 were confirmed in the first months of 2018. Order intake rose sharply compared with the first half of 2017. Mikron is thus expecting an increase in sales of around 25% for the first six months of 2018 in comparison with the same period of the previous year. For the year as a whole, Mikron anticipates a rise in sales of between 20 and 30% and an EBIT margin of 3-5% (2017: 0.5%). Mikron will announce the definitive figures in the semi-annual financial statements and detailed information on business performance on July 24, 2018. Biel, May 31, 2018, 7.00 a.m. – The Mikron Group has awarded Skyline Development AG, Küsnacht, a project mandate for the development of its property on Ipsachstrasse in Nidau, which is not used for business purposes. The Mikron Group is currently looking into all possible future uses for its property at Ipsachstrasse 14/16 in Nidau. Skyline Development AG, the project development office commissioned with this task, will draw up a development concept with the involvement of local partners. In its consolidated balance sheet of 31 December 2017, the Mikron Group valued the property at CHF 29.2 million. Biel/Bienne, April 12, 2018, 6 p.m. – At this year's ordinary Annual General Meeting in Biel/Bienne, the shareholders of Mikron Holding AG approved all proposals by the Board of Directors. Among other things they agreed to a distribution from reserves from capital contributions of CHF 0.05 per share, the future remuneration of the Board of Directors and Group Management, and the Compensation Report for the past financial year. All members of the Board of Directors were reelected for a further term of one year. Paul Zumbühl, CEO of the Interroll Group, was elected to the Board of Directors. At the Annual General Meeting, one shareholder also asked questions regarding impairment testing. The Board of Directors of the Mikron Group explained that the shareholders’ equity stated in the 2017 Annual Report is fully recoverable. It is sticking to the medium-term EBIT margin target of 5–7%. Biel, March 12, 2018, 7.00 a.m. – As expected, the second half of the year proved much better for the Mikron Group than the first. This is reflected in all three key indicators: order intake, sales and EBIT. The fact that the expectations published mid-year could nevertheless not be met is due to orders for a number of large customer projects coming in later than hoped. Over the year as a whole, order intake for Mikron manufacturing and automation systems was very volatile, resulting in an uneven distribution of production capacities. With incoming orders totalling CHF 278.9 million (previous year: CHF 243.6 million, +15%), the Group posted total annual sales of CHF 248.5 million (previous year: CHF 256.0 million, -3%) and EBIT of CHF 2.8 million (previous year: CHF 4.1 million, -32%). The innovation initiative launched in 2016 is on track. For 2018 the Group expects 10 to 20% growth in sales and, as a consequence, an improvement in EBIT. In 2017, the general economic environment was stable overall, and demand for larger investment projects also picked up in the second half of the year. With Mikron customers’ production systems running at high capacity utilization levels, demand for tools and Mikron’s range of services was good. Numerous customers ordered retrofits for existing systems to be able to benefit from advances made in digitalization in the context of Industry 4.0 and to increase the productivity of their machines. With orders for a number of large customer projects coming in later than hoped, the expectations published mid-year could not be fully met. In the 2017 financial year, the Mikron Group saw 15% year-on-year growth in incoming orders to CHF 278.9 million. Up toward the end of the third quarter, the intake of orders for Mikron Machining’s systems business was very volatile and generally too low. Thanks to the sound economic environment above all in the fourth quarter, the business segment posted order intake of CHF 152.9 million, representing an overall increase of 33% compared with the low prior-year figure. Mikron Automation reported a 2% year-on-year decrease in order intake to CHF 126.0 million in 2017, due primarily to customer orders being postponed until the new year. With annual sales of CHF 248.5 million, the Mikron Group was not quite able to reach the previous year’s result (CHF 256.0 million, -3%). While Mikron Machining succeeded in increasing sales by 7% on the back of strong tool and service business, the Automation business segment faced a decrease of 11%. After a very weak first half, Mikron Automation reported second-half sales in line with the corresponding year-back figure. At CHF 157.2 million, the Mikron Group’s order backlog at the end of 2017 was 28% higher than the prior-year figure. With EBIT at CHF 2.8 million in 2017, the Mikron Group fell short of the previous year’s result of CHF 4.1 million. While the Machining business segment witnessed an improvement in profitability, EBIT remains negative at CHF -1.6 million (previous year: CHF -5.2 million). The loss is mainly due to the low level of sales in the machinery business, especially in the first half of the year. Innovation project costs also put profitability under pressure. Factoring out this innovation spend, Mikron Machining would have achieved a positive EBIT margin. Following the good result recorded in 2016, Mikron Automation faced a significant decline in EBIT, from CHF 7.5 million to CHF 3.1 million in the 2017 financial year. Taking into account the 11% decrease in sales, the business segment still reported a solid EBIT margin of 2.5%. In the year under review, the Mikron Group posted a net result of CHF 1.2 million (previous year: CHF 2.3 million) or CHF 0.07 per share (previous year: CHF 0.14). The Board of Directors will be proposing to the Annual General Meeting an unchanged distribution from capital reserves of CHF 0.05 per share. The Mikron Group innovation initiative launched in 2016 is on track. In 2017, Mikron invested a total of CHF 8.8 million (previous year: CHF 7.1 million) in the development and expansion of new products and product platforms. This is equivalent to 3.5% of sales. The Mikron Group is not anticipating any fundamental changes in market conditions in 2018. Customer system capacity utilization rates are expected to remain high, which will continue to impact positively on the service and tool business. The tool business is looking to tap into further encouraging development opportunities on the US market. This is also true for Mikron Automation, once the uncertainties in the healthcare system have been resolved. The business segment should also be able to profit from the trend toward self-medication and from the fact that people are living increasingly longer. New market opportunities will present themselves to Mikron Machining in 2018 with capacity utilization still high in the automotive industry. Given that orders in hand are relatively high – though they are unevenly distributed among the various production locations – Mikron expects 10 to 20% growth in sales for 2018 and thus an improvement in EBIT. Biel, January 30, 2018, 7 a.m. – The Board of Directors of the Mikron Group has appointed Javier Perez-Freije as the Group’s new Chief Financial Officer (CFO). Mr. Perez-Freije has extensive, long-standing experience of finance in industrial companies. He will take up his new role on August 1, 2018. Javier Perez-Freije (42) holds a Master of Business Administration and Engineering from the University of Siegen, Germany. Following further studies at New York University Stern School of Business, he completed his education with a dissertation at the University of St. Gallen. He has previously been head of controlling of a division of the Swiss industrial group Rieter, CFO of a US business unit of the Swiss automotive supplier Autoneum, and most recently CFO of Netstal-Machinery Ltd.
With his in-depth financial expertise and his experience of the machinery industry, Mr. Perez-Freije is ideally qualified for the role of CFO of the Mikron Group. He will take over from Martin Blom, who is leaving Mikron in April 2018. Biel, November 2, 2017, 7 a.m. – In the third quarter of 2017, the Mikron Group reported encouraging order intake from various market segments, especially for machining systems. The prospects for the fourth quarter are also promising: The Mikron Automation division in particular is expecting an upturn in orders from the USA. At the same time, the tool and service business continues to perform well. By the end of the year, the Group is set to increase order intake compared with the previous year. Thus it will start the 2018 financial year with a healthy order backlog. Since some orders were approved considerably later than anticipated, however, recent developments will only have a small effect on sales for the current year. Compared with the previous year, the Mikron Group is therefore expecting a decline in sales and EBIT for the 2017 financial year. Biel/Bienne, 10 October 2017, 7 a.m. – Martin Blom, CFO of the Mikron Group, has decided to leave the Group in April 2018 to take up a new professional challenge. The Board of Directors and Group Management of Mikron regret this decision. The search for a suitable successor will commence immediately. Martin Blom will continue to carry out his duties and responsibilities through April 2018. Biel, September 1, 2017, 7 a.m. – The Board of Directors of the Mikron Group proposes that Paul Zumbühl be elected to the Board of Directors at the next ordinary Annual General Meeting on April 12, 2018. This will be the first step in the renewal of the board planned for the coming years. Paul Zumbühl (born 1957, Swiss national) has been CEO of the Interroll Group since 2000. Under his leadership, Interroll has become a global leader in the manufacture of key products and services for in-house logistics. Prior to this, Mr. Zumbühl held various management positions with international corporate groups. He has a degree in engineering from Lucerne School of Engineering and an MBA from the joint program of the Universities of Boston, Bern and Shanghai, as well as an AMP from Kellogg Business School, Chicago, USA. Biel, 25 July 2017, 7.00 a.m. – The firming global economy and the improved investment climate have heightened interest in the Mikron Group's systems, cutting tools and services. This is, however, not yet reflected in the half-year results. The Mikron Group's order intake was clearly below the prior-year level. Weaker sales were the main reason for an EBIT loss in the half-year results. With the prospect of various new orders, the Mikron Group is confident that order intake will improve in the second half of 2017. Accordingly, the Mikron Group is expecting an increase in sales to match the prior-year figure by the end of the current year. At CHF 114.2 million, the Mikron Group’s order intake for the first half of 2017 was clearly below the prior-year level (first half of 2016: CHF 124.7 million). Largely on the back of orders in the second quarter, the Machining business segment reported a 7% rise in order intake compared with the relatively modest prior-year figure. Mikron Machining’s tool business turned in a very reassuring performance in the first half of 2017. The service business saw order intake at a healthy level, exceeding the figure for the same period of 2016. Mikron Machining’s machine business witnessed robust demand from the writing instruments industry, while no major orders came in from the watchmaking and automotive industries. The Automation business segment reported a 21% decrease in order intake compared to the first half of 2016. Whereas Mikron Automation regularly received new orders from European customers in the pharmaceutical and medtech industries, US customers were very hesitant to invest, with individual pre-confirmed orders put on hold until the second half of 2017. Mikron Automation’s service business order intake was satisfactory, although it did not reach the good figure for the first half of 2016. In the first half of 2017, the Mikron Group posted net sales of CHF 118.4 million (first half of 2016: CHF 127.0 million, -7%). The unevenly distributed order backlog at the individual sites at the beginning of the year and the unexpectedly low order intake in the first quarter of 2017 had a negative effect. Both business segments were unable to maintain sales at the prior year-level, as reflected in the decrease of 11% to CHF 60.7 million (first half of 2016: CHF 68.0 million) at Mikron Automation and of 2% to CHF 57.8 million (first half of 2016: CHF 59.2 million) at Mikron Machining. Lower sales overall and additional outlays on individual Mikron Automation customer projects resulted in an EBIT loss of CHF -0.8 million for the first half of 2017 (first half of 2016: CHF 1.3 million). Mainly on the back of a solid performance by the tool and service businesses, the Machining business segment improved EBIT by CHF 1.4 million year-on-year to CHF -1.8 million (first half of 2016: CHF -3.2 million). However, this was not sufficient to break even. Although just in positive territory (CHF 0.2 million), the Automation business segment’s result failed to match the very good prior-year figure. At Mikron Automation, prospective orders indicate a positive performance in the second half of 2017. The business segment is confident of seeing a significant improvement in order intake and sales at all its sites. Mikron Machining is expecting to benefit from positive stimuli from the writing instruments, watchmaking and electronics industries. Demand from the automotive industry is still difficult to gauge, whereas Mikron Machining can count on strong demand in the tool and service businesses in the second half as well. Overall, the Mikron Group is expecting an increase in sales in the second half of 2017 to match the prior-year figure by the end of the current year. Factoring in the various additional measures in place to reduce costs and improve efficiency, the Group continues to predict a slight year-on-year increase in EBIT for 2017. Agno/Boudry, July 2017 – At this year’s “Fraisa Tool Champions” competition, five apprentice multi-skilled mechanics from Mikron Agno and Boudry made it onto the podium in their language regions. Sacha Polli, an apprentice at Mikron Agno, even took third place in the national “Conventional Machining Switzerland” category. The 31st “Fraisa Tool Champions” event was a great success for the Mikron Group. A total of five apprentice multi-skilled mechanics from the Agno and Boudry sites finished in the top places. 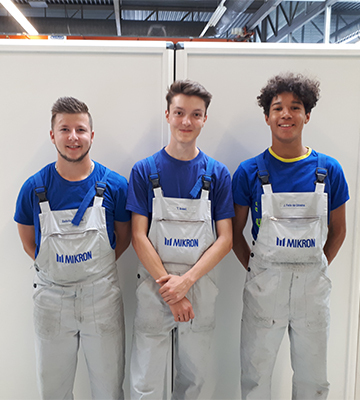 Mikron Boudry apprentices took first and third places in the “CNC Machining French-speaking Switzerland” category, and second place in the “Conventional Machining Switzerland” category. Sacha Polli from Mikron Agno came first in the “Conventional Machining Italian-speaking Switzerland” category, and even managed third place in the “Conventional Machining Switzerland” category. Another Mikron Agno apprentice also came top in the “CNC Machining Italian-speaking Switzerland” category. 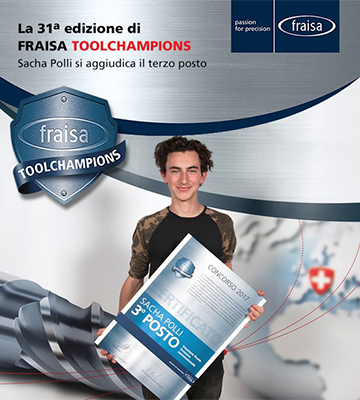 More than 1,200 budding multi-skilled mechanics, micromechanics and production mechanics from all over Switzerland took part in the 31st “Fraisa Tool Champions” competition. After drawing the specified parts, they made a workpiece from aluminum and brass using milling, drilling and thread cutting techniques. This workpiece was then judged by an external expert jury. 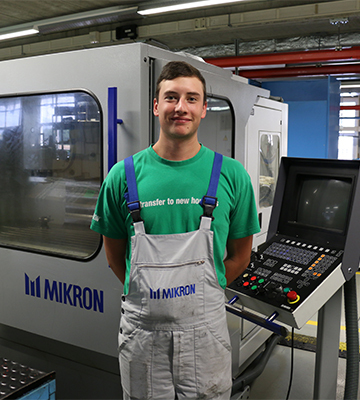 Sacha Polli, an apprentice from Mikron Agno, came third in the “Conventional Machining Switzerland” category and took first place in the “Conventional Machining Italian-speaking Switzerland” category. From Mikron Agno: Damiano Käppeli. From Mikron Boudry (from left to right): Jérémy Badertscher, Timothé Ioset and Joseph Felix de Oliveira. Biel/Bienne, April 25, 2017, 6 p.m. – At this year's ordinary Annual General Meeting in Biel/Bienne, the shareholders of Mikron Holding AG approved all proposals by the Board of Directors. Among other things they agreed to a distribution from reserves from capital contributions of CHF 0.05 per share, the future remuneration of the Board of Directors and Group Management, and the Compensation Report for the past financial year. All members of the Board of Directors were reelected for a further term of one year. Biel, 16 March 2017, 7.00 a.m. – The Mikron Group succeeded in significantly increasing both sales and EBIT in the 2016 financial year, benefiting from a good order backlog at the start of the year and from rising demand in the service and tool business. The volatile demand for machining and automation systems was more challenging for the Machining business segment than the Automation business segment in the year under review. Overall, the Group achieved annual net sales of CHF 256.0 million (previous year: 228.6 million, +12%), order intake of CHF 243.6 million (previous year: 264.6 million, -8%) and EBIT of CHF 4.1 million (previous year: CHF 2.5 million, +64%). The Board of Directors will be proposing to the Annual General Meeting a distribution from reserves from capital contributions of CHF 0.05 per share (prior year: CHF 0.05 per share). In the years ahead, the Mikron Group will intensify the innovation offensive it launched in 2016 while also continuing to develop existing products. Posting annual sales of CHF 256.0 million, the Mikron Group clearly exceeded the prior-year result (CHF 228.6 million, +12%) as expected. Both business segments lifted sales, with the increase at Mikron Automation (+21%) much more pronounced than at Mikron Machining (+2%). The growth seen at the Automation business segment is attributable to the healthy order backlog at the start of the year (CHF 99.5 million) and the gratifying order intake levels of CHF 128.9 million, although the segment could not match 2015’s record order intake level. Virtually all of the business segments‘ sites reported a good mix of new customer projects and repeat orders. The order backlog at Mikron Machining was CHF 43.8 million at the start of the year, and the order intake for the year under review CHF 114.8 million. This resulted in unsatisfactory production capacity utilization rates for individual product lines. Practically throughout the entire year, order intake levels for Mikron Machining’s machines business were unbalanced, extremely volatile and generally too low. This ultimately led to personnel adjustments, while maintaining or even strengthening innovativeness. Despite securing some significant orders in the fourth quarter of 2016, the Mikron Machining business segment expects capacity utilization in the machines business to remain unsatisfactory at the beginning of 2017. Service business held up well in both segments in 2016. However, pressure on margins for spare parts and on hourly rates for service technicians continued to grow. 2016 was another successful year for Mikron Machining’s tool business. Up 8%, tool sales now account for over 25% of the business segment total. At CHF 122.9 million, the Mikron Group’s order backlog at the end of 2016 was around 14% lower than the prior-year figure. The backlog of orders at both business segments was very unevenly distributed over the companies. Mikron Automation’s order backlog at the beginning of 2017 was equivalent to almost 60% of last year’s sales, while the corresponding figure for Mikron Machining (without taking into account the tools business) was only approximately 50%. To achieve the targeted growth, Mikron needs to attract some substantial new orders in early 2017. Despite existing potential for customer projects, it is very hard to assess the strength of clients’ resolve to go ahead. In the year under review, Mikron Machining launched an innovation offensive in the machines business for the years 2016 to 2018. The business segment is investing a total of more than CHF 10 million in modernizing and streamlining its machine portfolio in line with the new market conditions. Last year the Automation business segment saw the successful launch of its new control software on the European market. In a subsequent step, the software is to be expanded with further modular elements for a wide range of production processes. The new software offers customers additional features and better utilization of the production data generated by the assembly system – fully in keeping with Industry 4.0. In the 2016 business year, the Mikron Group reported EBIT of CHF 4.1 million, surpassing the prior-year result (CHF 2.5 million) as expected. Whereas the EBIT of CHF 7.5 million (prior year: CHF 4.3 million) posted by the Automation business segment represents a further significant improvement in profitability, the Machining business segment suffered another setback, reporting EBIT of CHF -5.2 million (prior year: CHF -4.3 million). This reflects the significant fluctuations in order intake at a disappointingly low level and the related capacity utilization problems. The operating result was impacted not only by an uneven distribution of workload, but also by lower margins and by additional staff to support especially the growth of the tools business, and by expenses related to innovation initiatives. Neither could Mikron Automation fully benefit from the significantly higher sales volume as the margins on projects were further under pressure and some work peaks created inefficiencies. In addition, several complex and thus risky projects were under way, which had to be reflected in the accounts accordingly. Mikron’s net earnings for 2016 were CHF 2.3 million, compared to CHF 0.9 million in the prior year. The Board of Directors will be proposing to the Annual General Meeting a distribution from reserves from capital contributions of CHF 0.05 per share (prior year: CHF 0.05 per share). To formulate an outlook for 2017 is challenging. The Mikron Group expects ongoing positive stimuli to come from the service and tools business plus a volatile trend in order intake for machining and automation systems. Given that the order backlog is satisfactory overall – though unevenly distributed among the locations – the Mikron Group is anticipating modest sales growth in 2017. In view of the various measures being taken to cut material costs and raise efficiency, the Group is expecting a slight improvement in EBIT. Biel/Bienne, October 26, 2016, 2 p.m. –The Mikron Group is launching an innovation drive in response to the insufficient demand for its numerical control machine tools in the Mikron Machining division. It intends to greatly increase development activities for new machine concepts so as to safeguard existing markets and add new ones over the long term. Weak demand for numerical control machine tools will also mean that existing production capacities for the current range will have to be scaled back. Mikron will cut 25 of the total 345 of mechanical engineering jobs at the Agno (Switzerland) site by the end of 2017. This will include seven instances of early retirement and ten dismissals. The Group Management will assist the employees in question in looking for a new job. The Mikron Group has around 1,200 employees worldwide, half of whom work in the Machining division. Mikron will continue to operate both production facilities of the Machining division – in Agno and in Rottweil (Germany). Biel/Bienne, July 26, 2016, 7 p.m. – In the first half of 2016, the Mikron Group achieved a significant year-on-year increase in first-half sales and, as expected, positive EBIT. The Automation business segment performed very well, whereas the Machining business segment suffered from hesitant investment in the segments it serves within the automotive industry. As communicated earlier, the Mikron Group anticipates closing the 2016 financial year on considerably higher sales and an improved EBIT margin. Operating conditions remained very demanding for the Mikron Group in the first half of 2016. While the strong Swiss franc continued to have a negative impact on the sites in Switzerland, the Mikron Group nevertheless reported a higher order intake of CHF 124.7 million for the period (first half of 2015: CHF 118.3 million, +5%). This increase is due entirely to the Automation business segment, which benefited from its strong market position in the pharmaceutical and medical devices industries. Buoyed by continuing solid growth, customers in this market segment invested in automation systems. On the other hand, customers in the automotive industry – Mikron Machining’s key market segment – were very reluctant to invest.  Consequently, the Machining business segment recorded fewer orders than expected – especially from the German market. Mikron Machining did, however, witness an encouraging volume of orders from customers in the electronics industry. Reporting sales of CHF 127.0 million, the Mikron Group achieved a sizable year-on-year increase (first half of 2015: CHF 107.8 million, +18%), as expected. Both business segments lifted sales, but the increase at Mikron Automation was considerably more pronounced than at Mikron Machining. The Automation business segment’s result reflects the healthy order backlog at the beginning of the year and the gratifying level of new orders. These two key indicators were considerably weaker at Mikron Machining, leading to underutilized production capacity on certain product lines. In the first half of 2016, the Mikron Group generated EBIT of CHF 1.3 million, exceeding the year-back figure (CHF -2.7 million), which had been significantly impacted by the strengthened Swiss franc. Whereas the Automation business segment saw a further improvement in profitability, the Machining business segment unfortunately fell well short of that. Sales and EBIT in the first half of 2016 were generally as expected. In terms of the final six months of 2016, the Mikron Group is projecting continued lively demand for automation systems from the pharmaceutical and medical devices industries as well as from the consumer goods segment – above all on the part of customers from the US and Europe. Demand from the automotive industry, which is especially crucial to Mikron Machining, remains highly uncertain. By contrast, the inquiries received from the writing instruments and electronics industries constitute a positive development. The Mikron Group is expecting demand in the service and spare-parts business to be stable and is looking ahead to further growth in the tool business. As communicated earlier, the Mikron Group anticipates closing the 2016 financial year on considerably higher sales and an improved EBIT margin. It is not clear yet how the UK’s decision to leave the EU and political developments in Turkey will impact on the Mikron Group’s profitability. Biel/Bienne, April 12, 2016, 6 p.m. – At this year's ordinary Annual General Meeting in Biel/Bienne, the shareholders of Mikron Holding AG approved all proposals by the Board of Directors. Among other things they agreed to a distribution from reserves from capital contributions of CHF 0.05 per share, the future remuneration of the Board of Directors and Group Management, and the Compensation Report for the past financial year. They also decided to transfer the delisting competence from the Board of Directors to the Annual General Meeting and subject it to a higher decision-making quorum. Hans-Michael Hauser was elected as a new member of the Board of Directors. Biel, March 22, 2016, 7 a.m. – The Board of Directors of Mikron Holding AG supports the proposal of Veraison SICAV, Zurich, to transfer the delisting competence from the Board of Directors to the Annual General Meeting. The Board of Directors believes this to be appropriate, because delisting would primarily affect shareholders. As announced on March 3, 2016, Veraison SICAV has submitted a request to Mikron Holding AG for inclusion of an item on the agenda at the Annual General Meeting of April 12, 2016. In the request, it proposed that the delisting competence be transferred from the Board of Directors to the Annual General Meeting. The Board of Directors of Mikron Holding AG has added this proposal to the agenda. The invitation and agenda for the upcoming Annual General Meeting will be sent to shareholders of Mikron Holding AG in the next few days. The Board of Directors believes in the future of Mikron as a listed company. Since delisting would primarily affect shareholders, it considers it appropriate to transfer the delisting competence to the Annual General Meeting and, by subjecting it to a higher decision-making quorum, to introduce an element of minority protection. Biel, 8 March 2016, 7.00 a.m. – In 2015 the Mikron Group was able to increase annual order intake from CHF 244.8 million to CHF 264.6 million. The Group reported a decrease in annual sales from CHF 249.1 million to CHF 228.6 million (-8%). Despite the difficult business climate, the Mikron Group recorded positive EBIT of CHF 2.5 million (prior year: CHF 4.6 million). While the Automation business segment again achieved a significant improvement in profitability, the Machining business segment fell well short of the corresponding figures for the prior year. The Board of Directors will be proposing to the Annual General Meeting a distribution from reserves from capital contributions of CHF 0.05 per share (prior year: CHF 0.05 per share). The Mikron Group reported order intake of CHF 264.6 million in 2015, representing a sizeable increase over the prior year (CHF 244.8 million, +8%). In local currencies, the growth amounted to 9%. The low prior-year figure for the Machining business segment meant that its increase was somewhat more pronounced than in the Automation business segment. In both segments, the growth was generated entirely in the second half of the year. Considerable differences between the individual sites were also evident within each of the two segments. Adjusted for currency, the Mikron Group’s annual sales were only around 1% below the prior-year level. In actual terms, net sales were down by 8% to CHF 228.6 million in the year under review (prior year: CHF 249.1 million). Both business segments posted lower figures than in 2014: Mikron Automation CHF 114.9 million (prior year: CHF 126.8 million, -9%) and Mikron Machining CHF 113.8 million (prior year: CHF 123.8 million, -8%). The Mikron Group’s capacity utilization rate in the first half of 2015 was generally unsatisfactory, and even critical at individual sites. It improved considerably in the course of the second half. At CHF 142.9 million, the Mikron Group’s order backlog at the end of 2015 was 22% higher than the corresponding prior-year figure, with orders in hand still very unevenly distributed over the sites. Some orders relate to financially attractive longer-term projects which are not scheduled for completion in 2016. In 2015, the Mikron Group reported EBIT of CHF 2.5 million, equating to an EBIT margin of 1.1%. Oneoff, currency exchange effects at the beginning of the year had a negative impact of just under CHF 2 million on projects in progress. Even allowing for this one-off effect, the Mikron Group’s profitability is still well short of the strategic targets. Whereas the EBIT of CHF 4.3 million (prior year: CHF 2.7 million) posted by the Automation business segment represents a further significant improvement in profitability, the Machining business segment suffered another setback, reporting EBIT of -4.3 million (prior year: CHF -0.6 million). This mainly reflects the significant fluctuations in order intake at a disappointingly low level and the related capacity utilization problems. The operating result was impacted not only by an uneven distribution of workload, but also by lower margins and by additional costs during the final phase of several customer projects. The strong performance by Mikron Machining’s tool and service business was not sufficient to offset these negative factors. Mikron’s net earnings for 2015 were CHF 0.9 million, compared to CHF 2.2 million in the prior year. The Board of Directors will be proposing to the Annual General Meeting a distribution from reserves from capital contributions of CHF 0.05 per share (prior year: CHF 0.05 per share). The Mikron Group expects the market environment to stay challenging in 2016. The Swiss companies’ margins will remain under heavy pressure. The Group continues to anticipate robust demand for automation solutions in Europe and the USA from the pharmaceutical, medical devices and consumer goods industries. The situation in the automotive industry is still very uncertain. While this market is extremely important for Mikron Machining in particular, for the Group as a whole it is likely to lose in significance compared to the pharmaceutical and medical devices industries. Mikron is projecting an increase in order intake in Asia following efforts to strengthen the sales organization. The Group is also expecting moderate growth in demand for tools. Thanks to a good order intake level in the fourth quarter of 2015, Mikron is looking to the 2016 financial year with confidence. The Group is expecting a considerable increase in sales and an improved EBIT margin, and anticipates a much stronger second half of the year. Biel, 3 March 2016, 7.00 a.m. – Mikron Holding AG has received a request for inclusion of an item on the agenda of the Annual General Meeting on 12 April 2016 from Veraison SICAV, Zurich. Veraison SICAV is proposing that the delisting competence will be transferred from the Board of Directors to the General Meeting. Veraison SICAV holds 1‘674‘897 registered shares with a total par value of CHF 167‘489.70 (10,02% of the share capital). The Board of Directors will include the item on the agenda and respond in due course.  Biel, 21 January 2016, 7.00 a.m. – Mikron's Board of Directors is proposing to the Annual General Meeting of April 12, 2016 that Hans-Michael Hauser be elected to the Board. Born in 1970, Hans-Michael Hauser holds several Master's degrees: in physics and mathematics from the University of Stuttgart, and in engineering from the École Centrale of Paris. He has also taken an MBA to augment his existing qualifications. Hans-Michael Hauser worked for the Boston Consulting Group (BCG) as Partner and Managing Director in Munich and Zurich from 1995 to 2015, playing a significant role in establishing and expanding BCG's consultancy business in the industrial and technology segment. Since 2015, he has been helping companies to develop and launch digital business models through ML Insights AG, the company he founded himself. 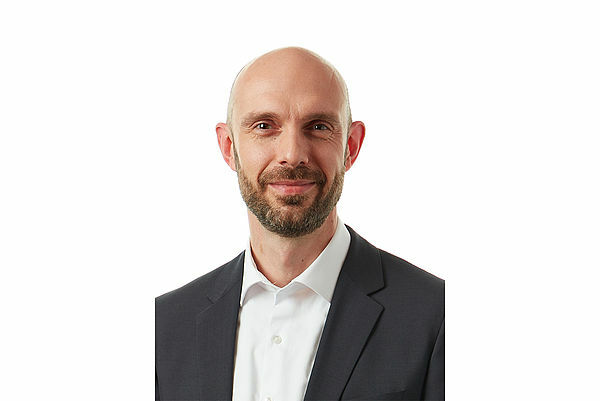 Hans-Michael Hauser has acquired specific experience in technology and innovation management, automation technology and hardware and software development projects. With his experience and knowledge, he makes the ideal complement to the Mikron-relevant background of the Board of Directors. Biel, 23 October, 2015, 7 a.m. – Based on its third-quarter figures, the Mikron Group is expecting EBIT for the 2015 financial year to come just within positive territory, as announced in the media release on the first-half 2015 figures issued on July 23. However, driven by the currency situation, the Mikron Group now anticipates a 5-10% decline in annual sales for 2015 compared with the previous year. Biel, 30 September 2015, 7.00 a.m. – Shareholder Veraison SICAV – Engagement Fund increases its investment in Mikron Holding AG from 5.1% to 10.02%. Biel, July 23, 2015, 7 a.m. – The strength of the Swiss franc, volatile order intake, and resulting uneven capacity utilization at individual sites held back the Mikron Group's performance in the first half of 2015. The Group reported an EBIT loss of CHF -2.7 million and a fall in net sales of 10% to CHF 107.8 million (first half of 2014: CHF 119.4 million). For the 2015 financial year, the Mikron Group now expects net sales slightly below the prior-year figure and EBIT just in positive territory. In the first half of 2015, the Mikron Group recorded order intake of CHF 118.3 million, representing a decline of 15% compared to the figure reported in the first half of 2014 (CHF 139.2 million). Adjusted for currency effects, the decline would have amounted to 10%. As anticipated, the Automation business segment was unable to reach the very high year-back figure and reported a decrease of 35%. By contrast, the Machining business segment recorded an increase of 19% – compared, however, against the very low figure for the corresponding prior-year period. The Mikron Group reported a 10% decrease in net sales from CHF 119.4 million in the first half of 2014 to CHF 107.8 million in the first six months of 2015. Assuming no change in exchange rates, net sales would have been around CHF 9.2 million higher. Both business segments generated lower net sales than in the corresponding year-back period: Mikron Automation CHF 55.1 million (-3%) and Mikron Machining CHF 52.7 million (-16%). As at the end of June 2015, the Mikron Group has an order backlog of CHF 124.1 million (8% lower than at the end of June 2014). It is still distributed very unevenly over the different sites. The Mikron Group reported an EBIT loss of CHF -2.7 million for the first half of the year. Mikron Automation posted an EBIT loss of CHF -0.4 million, and Mikron Machining CHF -3.8 million. Factoring out the negative impact of exchange rate developments, the Group would have achieved the anticipated balanced result and – despite a decline in net sales – the Automation business segment would have increased profitability. In the first half of 2015, Mikron Automation’s US sales market continued to perform positively. In Europe, on the other hand, pressure on margins increased – especially as a result of the decision by the Swiss National Bank to discontinue the minimum exchange rate against the euro. The business segment also came under intense pressure from competitors, mostly those from Germany. As expected, Mikron Automation was unable to repeat the previous year’s exceptionally high order intake (CHF 86.9 million), reporting CHF 56.1 million for the first half of 2015. The order backlog level remained good at CHF 69.9 million (first half of 2014: CHF 89.9 million). As a number of projects were in an early or advanced development stage, sales fell to CHF 55.1 million in the first half of 2015 (first half of 2014: CHF 56.9 million). Factoring out the currency-related value adjustments on work in progress, the business segment would have achieved positive EBIT of CHF 0.8 million (previous year CHF -0.2 million). Mikron Machining’s business performance was again very mixed in the first half of 2015: While demand for tools and spare parts was still solid, the business segment faced a decline in the machinery business in the second quarter. Despite an encouraging, relatively steady flow of requests for quotes from customers, above all new orders for linear transfer machines manufactured in Germany remained well below expectations. Mikron Machining increased order intake from the low CHF 52.6 million seen in the first half of 2014 to CHF 62.5 million in the first six months of 2015. The business segment increased order backlog from CHF 46.3 million to CHF 54.1 million, although some orders will not generate sales revenue until 2016 or later. Net sales fell from CHF 63.1 million to CHF 52.7 million. Under the impact of the strong Swiss franc and due to the substantial decrease in net sales, profitability was also negative. In the second half of 2015, the Mikron Group expects to continue facing a challenging, uncertain and – particularly regarding order intake in the machinery business – volatile situation. The Swiss companies in particular will remain exposed to huge pressure on margins. Continuing stable demand for tools and services give Mikron grounds for optimism, as do the ongoing negotiations with existing and new customers on numerous projects. The situation of Mikron Automation in the US is also pleasing. On the whole, Mikron anticipates an increase in sales that will return the Group to the profit zone. Nonetheless, Mikron has to revise its expectations for full year 2015 downwards and is now projecting net sales slightly below the prior-year figure and EBIT that will unfortunately only just make positive territory. Biel, 16 April 2015, 6.00 p.m. The shareholders of Mikron Holding AG approved all the proposals put forward by the Board of Directors at this year's Annual General Meeting in Biel. These included a distribution from capital reserves of CHF 0.05 per share, the future remuneration payable to the Board of Directors and Group Management which was voted on for the first time, and the remuneration report for the 2014 financial year, also voted on for the first time. The management of the Mikron Group also informed the Annual General Meeting about the renewal of the credit agreement with the bank consortium for CHF 50 million. Biel, 9 March 2015, 7.00 a.m. – In 2014 the Mikron Group reported a slight increase in sales overall and was able to hold order intake at the prior-year level. However, contrary to Mikron's own targets and expectations, the Group did not succeed in increasing profitability as well, with EBIT at CHF 4.6 million (prior year: CHF 5.2 million). While the Automation business segment achieved a significant improvement in profitability, the Machining business segment fell well short of the corresponding figures for the prior year. The Board of Directors will be proposing to the Annual General Meeting a distribution from capital reserves of CHF 0.05 per share (prior year: CHF 0.10 per share). The Mikron Group increased its annual sales by 3% to CHF 249.1 million in the year under review (prior year: CHF 241.1 million). This growth is attributable solely to the Automation business segment, which enjoyed healthy capacity utilization levels at the Boudry and Denver locations and saw a 9% increase in sales to CHF 126.8 million (prior year: CHF 116.8 million). Thanks to the reassuring development of tool and service activities and despite a disappointing performance in terms of machinery business, the Machining business segment reported sales of CHF 123.8 million, only marginally below the previous year's level (prior year: CHF 125.2 million). In the year under review, capacity utilization within the Group was very unevenly distributed and in some cases unsatisfactory. It proved correspondingly difficult to plan and manage capacity. Europe remains the dominant geographic market for the Mikron Group, accounting for 53% of all sales. Both business segments profited from the recovery in the US industrial sector. Overall, the US accounted for 25% of Group sales (prior year: 12%). Thanks to a shift in orders within the Automation business segment in the direction of Asia, Mikron increased sales in this region by 13% to CHF 27.5 million (prior year: CHF 24.3 million). The Mikron Group reported order intake of CHF 244.8 million in 2014, which was broadly at the same level as the prior year (CHF 246.4 million). While the Automation business segment achieved growth of 10%, the Machining business segment recorded a decrease of 12%. Demand from the medical devices, pharmaceutical and consumer goods industries in the US generated an exceptionally high order intake at Mikron Automation. With EBIT of CHF 4.6 million (1.8% of sales), the Mikron Group largely fell short of its profitability target. While the Automation business segment achieved a significant improvement in earnings with EBIT of CHF 2.7 million (prior year: CHF -4.6 million), the Machining business segment suffered a severe setback, reporting EBIT of CHF -0.6 million (prior year: CHF 6.2 million). This mainly reflects the significant fluctuations in order intake at a generally disappointingly low level and the related capacity utilization problems. The operating result was impacted not only by an uneven distribution of work, but also by additional costs during the final phase of several customer projects. The strong performance by Mikron Machining’s tool and service business was, unfortunately, not sufficient to offset this decrease. After factoring in the financial results and income taxes, the Mikron Group's net earnings for 2014 amounted to CHF 2.2 million, showing virtually no change against the previous year's figure (CHF 2.4 million). With earnings below expectations, and in view of the new challenges facing the Group following the decision of the Swiss National bank to abandon the ceiling on the euro, the Board of Directors will be proposing to the Annual General Meeting a distribution from capital reserves of CHF 0.05 per share (prior year: CHF 0.10 per share). For 2015 the Mikron Group assumes an essentially unchanged difficult, but relatively stable economic environment. Automotive production is set to increase globally, and novel eco-friendlier transmission systems will further stimulate demand for new machining and automation solutions. Mikron also expects to benefit from the growing need for self-medication and for precision assembly solutions. However, the positive economic development projected for the US is offset by continuing major uncertainties in Europe and parts of Asia. Many customers in these regions are very cautious regarding their investments. In addition, the removal of the floor against the euro by the Swiss National Bank creates major new challenges for Swiss export companies such as the Mikron Group. In response, Mikron has already introduced numerous measures to secure sales and reduce costs and will continue to do so. Taking this into consideration, in 2015 the Mikron Group should be able to achieve a similar level of net sales and EBIT as in the prior year. Biel, 22 January 2015, 7.00 a.m. – In the 2014 fiscal year, the Mikron Group increased net sales by 3 percent to CHF 249.5 million (previous year: CHF 241.1 million) and reported order intake of CHF 244.8 million (previous year: CHF 246.4 million), virtually equaling the year-back figure. 2014 closed with order backlog down 4 percent at CHF 117.0 million (end of 2013: CHF 122.4 million). As announced at the end of October 2014, EBIT will be in positive territory, but lower than in 2013. It is still too early to predict how the decision of the Swiss National Bank to abandon its currency floor against the euro will affect the Mikron Group’s performance. The Mikron Group’s business areas and markets performed very differently in 2014. Whereas the medical devices and pharmaceutical industries and the US economy in general made significant progress, a widespread mood of caution and uncertainty affected demand for capital goods in Europe, as felt most acutely by the Machining business segment. The solid demand from Switzerland seen in previous years also slowed down considerably. The weak euro also affectecd competitiveness. The Mikron Group nonetheless succeeded in defending the pole market position held by both business segments in Europe. Healthy capacity utilization levels in the automotive industry had an additional favorable impact on the tool and service business. Although developments in the Asian markets fell short of expectations in the year under review, Mikron was still able to win a number of new customers and strengthen local competencies. The Annual Report, containing the detailed results for the Mikron Group for 2014, will be published at the Media and Analyst Conference on 9 March 2015. Mikron Machining is the leading supplier of customized, highly productive machining solutions for the manufacturing of complex, high-precision components made of metal. Customers in the automotive, watchmaking and writing instruments industries account for the majority of the segment’s net sales. The Machining business segment faced a decrease in demand for machining solutions in 2014. The strong performance by Mikron Machining’s tool and service business was not sufficient to offset this fall. For 2014 as a whole, the Machining business segment reported a 12 percent decline in order intake to CHF 110.9 million (previous year: CHF 125.8 million). The segment reported net sales of CHF 123.8 million, only slightly below the prior-year level (previous year: CHF 125.2 million). At CHF 46.9 million, the Machining business segment’s order backlog at the end of 2014 was 19 percent lower than at the end of 2013 (CHF 57.6 million). Mikron Automation is one of the world’s leading manufacturers of customized, highly productive automation solutions for high-precision assembly and testing of products up to hand size. The segment operates primarily in the medical devices, pharmaceuticals, automotive and consumer goods industries. Thanks to high demand from the US, especially from the medical devices, pharmaceuticals and consumer goods industries, the Automation business segment increased its order intake by 10 percent to CHF 134.5 million (previous year: CHF 121.8 million) and net sales by 9 percent to CHF 126.8 million (previous year: CHF 116.8 million) in 2014. At CHF 70.1 million, the Automation business segment’s order backlog at the end of 2014 was 8 percent higher than at the end of 2013 (CHF 65.1 million). Biel, October 24, 2014, 7 a.m. – In the third quarter of 2014, the Mikron Group felt the effects of the general reticence on the global capital goods markets strongly in some areas. Capacity utilization in the Automation business segment remains decent overall as the order backlog is still good. However, a lack of new orders in the Machining business segment in recent months has resulted in an unsatisfactory level of capacity utilization at certain sites. Against this backdrop, for the 2014 financial year Mikron now expects positive, but lower EBIT compared with 2013. In the first nine months of 2014, the Mikron Group reported order intake of CHF 194.2 million (first nine months of 2013: CHF 186.4 million) with sales coming to CHF 177.2 million (first nine months of 2013: CHF 178.3 million). Solid demand for assembly systems, especially in the US, contrasted with a sharp decrease in order intake for large-scale projects of rotary transfer machines. As a result, the available capacity was not sufficiently utilized, particularly at the plant in Agno, Switzerland. The uncertain development in the various sales markets will continue to have a major impact on capacity utilization at the individual sites and the Group's profitability. The Automation business segment is expected to continue to perform well. Overall, the Group still anticipates a slight rise in sales for the 2014 business year. Given the circumstances, however, EBIT is expected to fall. Biel, 22 July 2014, 7.00 a.m. – In the first half of 2014, the Mikron Group posted Group sales of CHF 119.4 million, virtually matching the corresponding prior-year figure (first half of 2013: CHF 119.6 million). At CHF 2.4 million, EBIT was also consistent with last year's figure (first half of 2013: CHF 2.4 million), although it failed to meet expectations. For 2014 as a whole, Mikron continues to anticipate a slight increase in sales and also an improved EBIT margin. In the first half of 2014, the Mikron Group recorded an order intake of CHF 139.2 million, representing a rise of 19% compared to the low figure reported in the first half of 2013 (CHF 117.1 million). Conspicuously high demand for assembly systems, especially in the US, contrasted with a decrease in order intake for rotary transfer machines. The Mikron Group recorded sales of CHF 119.4 million, virtually unchanged from the previous year. While Mikron Machining recorded a 3% decline to CHF 63.1 million, Mikron Automation increased sales by 4% to CHF 56.9 million. Reported EBIT of CHF 2.4 million (first half of 2013: CHF 2.4 million) fell short of the Mikron Group’s expectations for the first six months of 2014. The operating result was impacted not only by an uneven distribution of work, but also by unforeseen additional costs during the final phase of several customer projects. Mikron expects the new orders secured in the first half of 2014 to improve the situation. However, the Group needs to receive further large projects early in the second half to be able to fully utilize available capacity, especially at Mikron Machining. The Automation business segment experienced strong demand from the pharma, medical devices and consumer goods industries in the first half of 2014. Other markets were characterized by considerable reluctance to make investment decisions. Mikron Automation generated an order intake of CHF 86.9 million (first half of 2013: CHF 73.0 million), which resulted in an order backlog of CHF 89.9 million (first half of 2013: CHF 77.5 million). Sales came in at CHF 56.9 million (first half of 2013: CHF 54.5 million). Growth in new orders was especially encouraging in the US, where orders from new and existing customers in the pharma, medical devices and consumer goods industries achieved record levels. The good economic situation in the US was partly responsible for this, while investments in earlier projects paid off in the form of repeat and reference orders. While capacity at Mikron Automation's plants in Switzerland and the US were well utilized in the first half of 2014, the Berlin site and the two sites in Asia were short of new projects. Here Mikron Automation carried out further intensive work on optimizing processes and organization. Mikron Machining's business performance was again very mixed in the first half of 2014. While sales of cutting tools were encouraging, and the service business was stable in accordance with expectations, Mikron Machining experienced a substantial fall in demand for the rotary transfer machines manufactured in Agno. In contrast, demand for the linear transfer machines produced in Rottweil was brisk. Mikron Machining generated an order intake of CHF 52.6 million (first half of 2013: CHF 44.2 million), which resulted in an order backlog of CHF 46.3 million (first half of 2013: CHF 30.5 million). Sales came in at CHF 63.1 million (first half of 2013: CHF 65.2 million). Mikron Machining's headquarters in Agno began 2014 with a modest order backlog. Although several interesting projects reached an advanced offer stage during the first half of the year, it was not until June that Mikron Machining succeeded in securing substantial firm orders. Capacity utilization in Agno, which mainly produces rotary transfer machines, was correspondingly unsatisfactory. It was much better at the production site in Rottweil, where linear transfer machines are the principal product. In the second half of 2014, the Mikron Group will continue to face the challenge of volatile markets that are still expected to be characterized by investment reticence. Indistinct development of demand from Germany’s automotive industry for highly productive capital goods, continued strong demand in the US, and the predicted growth in demand from China will have a significant impact on the capacity utilization and, in turn, the profitability. Mikron expects stable and solid demand for its service and tools business. On the whole, the Group continues to anticipate a slight increase in sales and also an improved EBIT margin for the full year 2014. This is conditional, however, on a perceptible recovery in demand for rotary transfer machines in the second half of 2014. Biel, 30 April 2014, 7.00 a.m. The group of investors that has held the majority of shares of Mikron Holding AG up to now is terminating its shareholder pooling agreement with immediate effect. The members of the group of investors will not be obliged to submit a share purchase offer to all shareholders. No shareholder holding at least 3% of the voting rights has lodged an objection to the corresponding decision of the Swiss Takeover Board, which was communicated on 15 April. Biel, 15 April 2014, 7 a.m. The shareholder pooling agreement covering the shares of Mikron Holding AG is to be terminated. Despite the termination, the core group of investors will retain their holding in Mikron. The Mikron Group is now back on a growth trajectory and remains very robustly financed. The majority of shares of Mikron Holding AG have been held by a group of investors since 2003. The group of investors, consisting of Ammann Group Holding AG (Berne), Mr Rudolf Maag (Binningen), Tegula AG (Zurich), Personalfürsorgestiftung Rieter AG (Winterthur) and Corporate Investment Management Affentranger Holding AG (Zug), holds approximately 70% of the shares of Mikron Holding AG. This group has stood by Mikron in difficult economic times, and played a key role in the balance sheet restructuring of the Mikron Group 11 years ago. The group of investors undertook a commitment at that time which took the form of a shareholder pooling agreement. This agreement was extended in both 2011 and 2013. The group has now obviously the jointly developed intention to terminate the agreement. Ammann Group Holding AG, the largest shareholder in the group of investors, has obtained a ruling from the Swiss Takeover Board (TOB). According to this ruling, the termination of the shareholder pooling agreement will not oblige Ammann Group Holding AG to submit a share purchase offer to all shareholders. However, shareholders holding more than 3% of the voting rights may lodge an objection in the five stock exchange trading days following the publication of the Mikron Board of Directors’ response to the decision. Mikron Holding AG is expecting the shareholder pooling agreement to be terminated once this deadline has passed. It welcomes this development, as it should have a positive impact on the liquidity of the shares.The core group of investors will retain their holding in Mikron. The Mikron Group is now back on a growth trajectory and remains very robustly financed. Biel, 8 April 2014, 6.00 p.m. The shareholders of Mikron Holding AG approved all proposals put forward by the Board of Directors at this year's Annual General Meeting in Biel. They approved a dividend of CHF 0.10 per share and the revised Articles of Association necessitated by the new ordinance against excessive remuneration in listed companies. As a result of this ordinance, Mikron also held separate elections for the first time: for each of the four members of the Board of Directors, for the Chairman of the Board of Directors, for the two members of the Remuneration Committee, and for the independent proxy. Also for the first time, shareholders were able to cast their votes online before the Annual General Meeting. The Mikron Group increased its annual sales by 2% to CHF 241.1 million (prior year: CHF 235.3 million). The Automation business segment increased sales by an impressive 15% to CHF 116.8 million (prior year: CHF 101.2 million). By contrast, following a difficult third quarter, the Machining business segment suffered a decline in sales of 7% to CHF 125.2 million (prior year: 134.3 million). Europe remains the dominant geographic market for Mikron, accounting for 75% of all sales. In the medical devices and pharmaceutical industries, global demand held up well. By contrast, order volumes from the automotive industry developed sluggishly. The one ray of light in this respect was the resurgence in demand from the US automotive industry towards the end of the year. As expected, the order intake from the Swiss watchmaking industry mirrored the level of the prior year. Demand from China was disappointing for both business segments. Given these circumstances, the fact that the Machining business segment managed to increase its order intake by 2% should be viewed in a positive light. The same is true of the order intake of the Automation business segment, which rose by 8% in a year-on-year comparison. Overall, the Group increased its order intake to CHF 246.4 million (prior year: 236.3 million, +4%). With an EBIT figure of CHF 5.2 million (2.2% of sales), Mikron Group fell well short of the prior-year result, as well as its own target. The key factors were extra costs incurred in connection with a comprehensive project in the Automation business segment, the insufficient capacity utilization of our production sites in Asia, and the lack of orders for Mikron Machining in the first half of the year. Another negative factor was a number of quality problems at isolated suppliers. As a result of the photovoltaic business developing less strongly than expected, Mikron Automation also had to book a non-recurring impairment on patents amounting to CHF 2.3 million. This led to an EBIT loss for the Automation business segment of CHF 4.6 million (prior year loss: CHF 1.6 million). The Machining business segment reported EBIT of CHF 6.2 million (prior year: CHF 9.9 million). This equates to an EBIT margin of 5.0%, which is respectable in view of the sharp decline in sales. After factoring in the financial results and income taxes, Mikron’s net earnings for 2013 amounted to CHF 2.4 million (prior year: CHF 8.5 million). The equity ratio is a solid 66%. Despite generating lower earnings, the Mikron Group reported operating free cash flow of CHF 5.2 million for 2013. Cash flow from operating activities proved sufficient to finance the Group's investments, which were channelled into production equipment and communication infrastructure in particular. The Mikron Group continues to be very robustly financed. The net cash position (cash and cash equivalents plus current financial assets less interest-bearing liabilities) as at December 31, 2013 amounted to CHF 32.3 million. Accordingly, Mikron remains essentially debt-free. We are not expecting any fundamental changes to the economic environment of the Mikron Group in 2014. This is particularly true of European markets, as there is still no sign of any significant recovery in the markets of southern Europe. The outlook for the US remains positive. We are expecting a general market improvement in Asia, particularly in China. As a result of the healthy order backlog at the start of the year and the anticipated stable economic development when viewed in overall terms, we are expecting a further slight increase in sales in 2014 and a significant improvement in EBIT margin. Biel, January 23, 2014, 7:00 a.m. The Mikron Group posted an order intake of CHF 246.4 million (previous year: CHF 236.3 million, +4%) and net sales of CHF 241.1 million (previous year: CHF 235.3 million, +2%) for the 2013 financial year. Order backlog increased by 12% to CHF 122.3 million (previous year: CHF 109.5 million). As already announced at the end of October 2013, however, the Group's EBIT will be significantly below the figure for 2012. Andreas Steiner will not be standing for re-election to the Board of Directors at the Annual General Meeting on 8 April 2014. The Board of Directors does not intend to nominate a successor at the present time. The Mikron Group's sales markets performed very differently in 2013. The high demand from the medical devices and pharmaceutical industries contrasted with very low demand from the automotive industry, particularly in the first half of the year. Overall, Mikron's market performance in 2013 was good, meeting expectations with a 2% increase in net sales. The Mikron Group even achieved a 12% increase in order backlog at the end of the year. Mikron’s Annual Report, containing the Group’s detailed results for 2013, will be published at the Media and Analyst Conference on 10 March 2014. Faced with persistent low demand and a continuous decline in orders in hand, the Machining business segment had a difficult first six months. In the second half of the year, however, the ongoing activities of enhancing existing and developing new machinery and tools paid off as various new orders brought about a reversal in this trend. For 2013 as a whole, the Machining business segment achieved an order intake of CHF 125.8 million (previous year: CHF 123.6 million, +2%) and net sales of CHF 125.2 million (previous year: CHF 134.3 million, -7%). The order backlog for the Machining business segment at the end of 2013 rose 13% to CHF 57.6 million compared with the end of 2012 (CHF 51.2 million). Thanks to the good level of demand from the medical devices and pharmaceutical industries, particularly in the first six months, Mikron Automation increased its order intake to CHF 121.8 million in 2013 (previous year: CHF 113.0 million, +8%). In contrast, demand from customers in the automotive industry was disappointing, and order volumes in Asia were also below expectations. Mikron Automation's net sales rose to CHF 116.8 million (previous year: CHF 101.2 million, +15%) and its order backlog increased to CHF 65.0 million at the end of the year (previous year: 58.3 million, +11%). 15.03.2019 Breaking news at Mikron Corporation Denver. The new automation platform launched at ATX West last February has received its first order. 03.10.2018 Following on from the ATX West and East fairs, the G05 assembly platform, with new fully integrated features and technologies, continues its roadshow at the upcoming PackExpo and Assembly events in Chicago. 15.10.2018 Mikron 6x6: Der neue Werkzeugmaschinenbaukasten mit vollintegrierbarer Automation. 27.09.2018 AMB 2018: Mikron setzt Highlights mit einer Weltneuheit, zwei Weltpremieren und einem interaktiven Messestand. 25.04.2018 Agno, April 2018 – Mikron Machining showcases several highlights in Asia at the trade fairs SIMM 2018 in China and SIMTOS 2018 in South Korea. 28.11.2014 CrazyMill Cool – A small tool at the top!